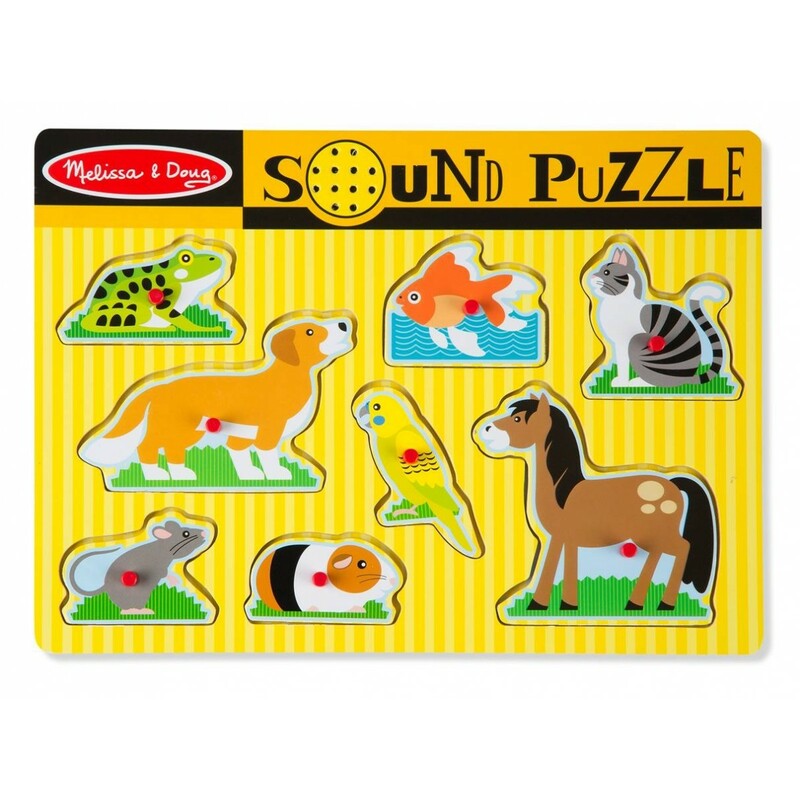 These awesome sound puzzles from Melissa & Doug have been favourites with the customers in our shops for a long time - it's no surprise, as they're absolutely brilliant toys. Just place the piece into the slot of the matching picture on the puzzle board to hear your favourite pet animal meow, woof, tweet, and much more! These are stunningly attractive puzzles that children immediately engage with, and they never fail to think it's hilarious when they get to hear the sounds! A great way to develop matching and listening skills, with a cute sound a rewarding approval of any correct puzzle choice. The puzzles are beautifully well made to the highest standards of quality and safety, so they make a wonderful and exciting gift for any child. Dimensions: 8.5" x 11.75" x 1"